Posted On April 10, 2009 by &filed under Discussion Forum. Forum disallowed my complaint. I filed appeal with State Commission. Commission admitted Appeal and issued notices to OPs who filed WS. Commission passed strictures against Forum, allowed admission of Complaint but remanded it back to Forum. I feel Commission should have allowed or disallowed Complaint without notices to OPs or else if notices were served the Complaint should have been processed at Commission itself. There was a lapse of 9 months in admission itself. Is State Commission not responsible for this delay? What remedies are available against Commission, if they wrong? We took Travel& Health Insurance from an Indian Company in Delhi. My wife had a health issue of fever & vomiting etc one night and we had taken her to an Emergency Center and treated her. Upon return we filed a legitimate claim for some 820 USD with all the available medical records given to us .The Insurance Company shows no intent to honestly pay the claim and keeps asking for additional records which are not available with us. My daughter in USA contacted the health care provider and after obtaining some confidentiality undertakings from us, they provided copy of all the clinical records of the treatment. I provided these additional medical records also to the Insurer. Now the Insurer is asking for Originals or Original Certified Copies of these ,which is not possible for me to provide. In other words this Insurer is just bent upon finding some problem or other to avoid settling our very legitimate claim . I feel it is injustice. Can Insurance Companies set their own arbitrary rules for convoluted paper work , thus making it impossible for the Insured to fulfill the requirement and accordingly they can project the claim to be incomplete and unsubstantiated, in case of litigation or referral to Regulatory Authorities ? Can the Insurers operate with a business model of “Intent to avoid settlement of claims” rather than “Intent to pay the legitimate claims” ? I paid money to a company for doing interior work for my house. But I didn’t sign any contract with them for doing the work. I have only the receipt for the money paid to them. That company didn’t complete the work. Only half of the work is done. They are neither ready to complete the work nor ready to return the money. When I went to their office, the vacated the place. They are telling me that the company is no longer there as they are having problem between the partners. Can anyone help me in this issue. Hi, I am employee of private sector. I was order mobile (Moto G Turbo) in offer from Amazon website. But they do not deliver to us. When I discussed with Amazon customer care then they told me that this is technical issue. But they are play with our emotions to see different offers. Please help me now what I do? i am a junior physician in a govt medical college, where services are provided free except for charges to make case paper. My unit head have received a summon from west Bengal jurisdiction for noncriminal case on 17/02/2016 regarding a patient treated in our hospital at OPD level. Am i or my unit head is bound to attend this summon compulsory? is there a provision for video-conference in legal cases as there is lack of staff in our unit ? can we ask for money in-advance for the expenses and fro whom? thanks . waiting for the reply. I have entered into a contract with a Builder which is a Private Limited Company for construction and Sale of a flat. The sale consideration has been fully paid and Sale Deed executed in my name. Even though the project has been completed, the builder has violated the sanctioned plan and is unable to deliver the flat as he could not obtain Completion certificate or utilities like Power water. Now there is notice for demolition. I understand that my legal rights are only against the Pvt. Ltd. Company and not against the Directors in their personal capacity. The Directors have violated the sanctioned plan and must take full responsibility. Can I sue against the Company and also the Directors in their personal capacity, alongwith a prayer that they should not alienate or mortgage their personal properties till disposal of suit. yes you can sue the company as the company is an artificial person and directors are fully responsible for the act and conduct of the same jointly and severally if their are any liability arose against a company you can also file the petition for winding up of the company U/S 433 of companies act and recover your amount . I had entered into a contract with a Builder/Promoter which is a Private Limited Company for construction and sale of a Flat. The full consideration has been paid and sale Deed executed in my name. Although the project is completed, the Builder is unable to deliver the flat as he has violated the sanctioned plan, and there is also a demolition notice. I understand that my legal rights are only against the Private Limited Company and not against the Directors in their personal capacity. The Builder’s action in violating the sanctioned plan has put the entire project to jeopardy and he has to take full responsibility. Can I sue against the Company also the Directors in their personal capacity. A builder launch a scheme says that 20% during the booking and rest is EMI to Builder Directly.. He called it 0% loan. We saw the Documents some of them not completed in the year 2012 and did agreement which is on 500/- Stamp paper which he called Booking Agreement. Following points he mentioned in Agreement. 1: He is responsible to make sure all papers are ready. 2: Stamp duty registration will be done after 80% amount completed. 3: 35% deduction for cancellation. 4: No Date committed in agreement for Flat possession. 5: He has authority for cancellation if payment not done. 6: and other some of points which are there. I have paid around 40% amount of property and found that Constructions has stopped from 1.5 year and no progress. He did not given possession to anyone, where 400+ people booked property there. When I asked for possession date he said did not answered and so many times verbal false commitments. After enquiry we found he was taking bookings even he has no NA(Non-Agriculture) papers,EC clearance, PMRDA certificate and Construction was stopped due to some cause, when we complaint to him he said the agreement we did it is understanding agreement. No When I asked my money back there will be 35% Deduction, What I should do, Going with this deal no commitments from his about possession and cancellation this deal I do not want to deduct 35% where property cost is now increased by 20% and he can sell property to anybody with higher amount. Can I ask for full refund, where as I have all bank statements paid by cheque. one of my friend faced the same problem.Dan she consulted helpmepapa.com for legal advice and i think its the best site for Online consumer help and advice as she got her problem solved within 2-3 hours with the help of best professionals and that cost her nothing,it was for free.try it out once. I have face same problem then my friend advise me for Online complaint. There are many online site but i think aeren-powwow is best site for Online consumer complaints in India. I had leased a house in bangalore on July 2012 and made agreement for 3 years with a clause 3 months notice to be given by either party. However due to personnel problems I had to change house by giving 3 months notice and also found the new tenant on my own for the landlady. At the time of returning deposite amount landlady informed me that she will be returning some part of amount now and later in 2 months she would pay the balance 100000 by deducting painting and other Misc if any. But it has been 3 months now and no sign of getting money back and she never picks the call or replies to message. Finally she has deposited 10000 after following up with her several times. Am afriad that I will not get my balance money back at earlist. Hence kindly advice or help in getting this sorted. I entered into a contract with Regus for providing virtual office space to my proprietorship firm in Nov 2012. They had a exit clause which asked for 2 months notice period at any time to end the contract. They updated the terms and conditions in April 2013 to remove the exit clause and make it mandatory for all to auto renew the contract every year. I provided them a notice via e-mail in May 2013. They did not reply then. No one knew whom to contact for ending the contract. Now in September 2013, their collections team is threatening to attach property/investment for non-payment of charges from June 2013 till Nov 2013 + late payment fees which runs to Rs. 18K. 1. I had signed the contract online and not on standard court paper. Is the contract valid for consideration in the state of India. 2. The copy of old terms and conditions was on their website and I do not have a copy of it with me. They have a link with `I accept the terms and conditions` written which when clicked only lead to the latest version of terms and conditions. Can I still claim, in court of law, that the new terms do not apply to my case as I had signed on the old terms and conditions copy. 3. What would the legal battle (if any) cost me; knowing that Legal cases like this stretch to years in our legal system. In other words, although their demand in incorrect, should I opt for a settlement now and pay them or wait to be sued? Agreement /Contract has to be mandatorily on Hard paper with Stamp Duty duly paid on the same. Agreement /Contract on email /softcopy has no force of law. I had opened a demat a/c with Angel broking ,with 25,000/-,in just 1-day,they had done ,unauthorised transactions in my ID & lost all the money.They traded in loss making companies & charged me around Rs 8,000/- for doing these transactions ,rest of the money they lost in trading .they had not followed the procedure ,laid by them,that no transaction will be done without the consent of the investors, now they refuse to reimburse the loss incurred.they refuse to accept the lapse in their service.I want to take this matter to consumer forum.but,came to know that such cases will not be filed in consumer courts,is it true.I had paid them not only brokerage but,also transaction fee charges.so why am i not considered as consumer. Dealing in Stock Market involves “commercial activities”. Hence it is not covered under the Consumer Protection Act. Sir,I had paid my hard earned money to buy a 3 cent land in ,Coimbatore(TN). Its registered in my Name with all Title deeds(chitta etc). The man who sold the 3 cents died after 3 months of selling the land. His wife who is next door to my site, has occupied my site & refusing to go (she says she has got a politician’s support). Court has given a Permanent Injunction (Stay) in my favor. The Defendant(lady) has parked her car in my site and is not allowing me to build a compound wall in my site. I had complained to the police. No result yet. Can you please advice, what to do ?. MY INTEREST SOLY LIES ON STATUS OF THOSE CONSUMERS WHO ARE ON THE MERCY OF ARBITRARY AUTHORITY OF MOBILE SERVICE PROVIDERS IN VIEW OF SUPREME COURT VERDICT IN CIVL APPEAL NO. 7687 OF 2004 DECIDED ON 1.9.2009 (GENERAL MANAGER, TELECOM VS. M. KRISHNAN & ANR.) BY SUPREME COURT OF INDIA. IT APPEARS THAT THE CONSUMER ACT IS AN APT LEGISLATION, CREATED TO HOODWINK THE CONSUMERS SINCE IT IS STATED TO BE A GENERAL LAW AND NOT THE SPECIFIC LAW. ALL THE DEALINGS ARE HELD UNDER VARIOUS ACTS VIZ. INSURANCE MATTERS ARE GOVERNED BY INSURANCE ACT AND ALL DEALINGS ARE SUBJECT TO CONGTRACT ACT, WHICH ACCORDING TO SUREME COURT ARE SPECIAL ACT AND SHOULD BE SETTLED ACCORDING TO THE PROVISIONS OF THOSE ACTS. IF ANY THING DONE BEYOND THE PURVIEW OF SPECIAL ACT WILL ONLY FALL WITHIN THE AMBIT OF CONSUMER COURTS, WHICH IS JUST REDICULOUS. WHERE SHOULD THE VICTIMS OF MOBILE SERVICE PROVIDERS SHOULD GO OR RESORT TO WHAT ACTION SINCE CONSUMER COURTS ARE JUST DISMISSING THE COMPLAINTS OF THE CONSUMERS IN VIEW OF THE CAPTIONED SUPREME COURT VERDICT. SUGGEST. kINDLY LET ME KNOW THE LATEST STATUES OF cONSUMER dISPUTES ACT VERSUS SPECIAL aCT SUCH AS tHE iNDIAN TELEGRAPS ACT 1885. especially in view of the pronouncement in ca7687 of 2004. Whether consumer forums can entertain disputes under mobile disputes or disputes regarding payment by cheque. If any service provder update wrong information like date of bairth, ID proof details Including Mr. instead of Miss what will be the action. Apart of in legal notice send by company with addressing Mr. instead of Miss. What wil be the legal way to take further. My parents have been living in ground floor of housing board apartments in Chennai for the last 30 years. For the last 25 years, there has been seepage from the first floor and the owner is adamant on not repairing the issue. We have spent internally money to solve the issue within our flat but it doesnt happen – the solution is temproray. The owner of the flat above (first floor) even didnt allow the president of the society to come in and was asked to get out of the house. Such is the nuisance of the owner. Note: We have letters dated from 1989 which have been sent to the president of the society requesting him to repair the seepage. We even have the responses from the owner of the flat above us. 1) Can we file a legal suit against them – if yes under which section? 2) Realisitcally speaking, how many years do you foresee such a case to come to conclusion? 3) There are about 138 flats in the society and around 10-20 flats would definitely be having seepage – can we all go together and file a complaint against the issue? Since the president himself is not repairing such an issue, the other flat owners from which seepage starts are not ready to repair their issue – setting a bad state. My parents have suffered a lot and I am now willing to fight for my parents basic rights to live in a proper place. Please help and suggest your views. 1. File a complaint before the local Police station, against the above floor flat owner, for creating nuisance and damage to property. This may take some time, but will surely result in permanent solution. (1)Seril no. on TV is different from Invoiced One. (4) inside Packing is not Original Tv Mfg.Packing. Hence I rejected. Then i talk to them above differences, they said overphone you can return through “First Flight Courier to- pay basis Accordingly as it is packed in same box I handed over to their courier. on 4th Mar’13 evening and intimated through mail to them. it was reached their place on 6th Mar’13 & delivered to them on 9th mar’13 morning then they talk to me on 9th Mar’13 stating that tv panels broken. Now they say ask me to talk to First Fligh Courier if they does’t agree to pay the compensation i have to pay. Please suggest me sir what to do legally. Hello Mr.Venkat, You can proceed with consumer court. You can find the procedure to file a case in consumer Court India from this link given here. I have purchase flat in appt in year Feb 2011, done agreement & given 80% amount by taking loan, I have paid EMI from last 24 month till time I have not get possession of property, Pl suggest what i need to do? I would like to know how much land (agriculture as well private property for building etc), an Indian citizen can own as an individual? Please let me know any case heard by any hon’ble high court and decision given by high court on the same case if does not satisfy to any of the party gives right to them to make an appeal against the same order before the Hon’ble Supreem Court in India. Please confirm & oblige. 1. I here by inviting your kind attention to conscious and deliberate disobedience of the Hon’ble Supreme court’s, National Consumer Disputes Redressal Commission’s and State Consumer Dispute Redressal Commission’s judgment/order by the Hon’ble District Consumer forum Kasargode, Kerala in many cases by interpreting their own interpretation. 2. It is submitted that, the Hon’ble Supreme court of India in General Manager, Telecom vs. M. Krishnan and another-CA 7687/2004 dated 01.09.2009 reported as 2009 (8) SCC 481 made it clear that the matters relating to telegraph lines and other connections can be referred to the arbitration under Section 7 B of the Telegraph Act and such disputes cannot be brought under the ambit of Consumer Protection Act. 4. It is submitted that ,the Kerala State Commission also dismissed many Appeals by relying the decision of the Hon’ble supremen court and the national commission. It is submitted that, the fact is being so, without jurisdiction the Hon’ble District Forum, Kasargode, is entertaining the cases which are related to subscriber and telegraph authority, which is barred by the Hon’ble Supreme court ,National and State commission by giving a different interpretation . It is important to note that, even though the Hon’ble State commission has set aside 3 orders of the same Forum, again the forum below, without considering the previous orders of the State Commission ,entertains similar cases and passing orders against the Telecommunication operators without any jurisdiction. It is important to note that , in A/526/10 order dated 13.10.2011, A508508/11 order dated 28.01.2012 and A 424/11 order dated 22.2.2012 the state commission undoubtedly held that ,as per the Hon’ble supreme courts judgment and the orders of the National Commission ,the Forum below has no jurisdiction to entertain the cases which are related to telecom operation . But surprisingly and Shockley the forum below passed another award against the Bharati Airtel Ltd on 31.05.2012 (CC77/11 copy of the order is available in CONFONET ) by giving their on interpretation and deliberately disobeyed ,insulted the hierarchy of Courts and especially Art 141 of the constitution. My question is ,is it a proper order, or is it a deliberate act of the Forum below,or is it prejudiced, immature and insulting the dignity of the Higher Judicial Authority, moreover the disobedience of principles of the Constitution of India. The Hon’ble CDRF ,Kasargod , by its order (CC77/11, CC 16/11,CC 238/10 copy of the order is available in CONFONET ) clarifies that ..The Judgment sited above 1 is per incuriam since it is passed ignoring the decision of larger bench. It is well settled that a mere direction of the Supreme Court without laying down any principle of law is not a precedent. It is only where the Supreme Court lays down a principle of law that it will amount to a precedent. “….. The decision ordinarily is a decision on the case before the Court, while the principle underlying the decision would be binding as a precedent in a case which comes up for decision subsequently. The scope and authority of a precedent should never be expanded unnecessarily beyond the needs of a given situation. The only thing binding as an authority upon a subsequent judge is the principle, upon which the Case was decided…..”. The another findings of the Hon’ble CDRF, Kasargode is as follows. Sir, namaskar, my land has been tansferred by a person using GPA which was revoked long ago, and that is why i filed a civil and criminal case against the buyers and the revoked gpa holder. to fight the case the lawer charged rs two lacs as full and final fee in advance. but he refused the cheque and demanded cash which we gave him. he filed the case and later on he showed us another lawer who also charged fee which we gave him. the first lawer now refuses to recognize us. as a consumer ,do i have right to sue my lawer who is very influential and fights big polititians cases etc.. where should i complain? to the bar council or in the consumer court. I fear he may try to influence and weaken my stand as he is a very high profile advocate in bangalore. please advise.waiting for answers from your side where i can take a right decision.and my rights are preserved. I reside in an apartment in Bangalore within a residential complex which has around 400 apartments; the owners have formed an association which is registered with the Registrar of Societies, Govt. of Karnataka. The office bearers of the association are elected by the block representatives (one for each block of apartments) and the residents pay maintenance fees to the association for the upkeep of common areas and facilities. I own an open parking slot in the apartment premises as do most other residents in the apartments. A problem started recently when one of the coconut trees planted in the gardens adjoining the parking slot bent obliquely on the parking slot; dry coconut leaves and other matter started falling directly on my car causing dents and other damages. I got it repaired after making insurance claim and informed the president of the association via email of the situation requesting him to find a solution. He said that he will look into the matter but no action was taken in this regard. My car suffered further damages again when dry leaves started falling again causing dents. My repeated verbal requests to have the tree removed/ pruned were ignored again. I feel that being a resident who pays the maintenance fees due to the association well on time, I can demand the tree be removed as a permanent solution. The association utterly disregards my suggestion nor does it provide any solution for my problem. I also feel that it is my imperative to claim for the damages caused the second time due to the deficiency in the services provided by the association to me as a resident. 1. Whether the stand I have taken legally valid and enforceable? 2. Does this case needs to be taken up from a regular court or shall I approach consumer forum? 3. Who is to be held liable for the damages caused to my car, the association or the office bearers? 4. If the office bearers change and new office bearers get elected, who should be held responsible? 5. In case I send a legal notice through my lawyer, the association my send it back without accepting the registered post, how to deal with this situation? i recently bought a product after seeing its advertisement. but when i opened it the packing was similar to the one shown in the ad but the content packing differed from the way it was projected in the ad. yes, you can file a complaint against the manufacturer for unfair trade practice in consumer court. The allegation comes under Section 2(i)(r) of Consumer ProtectionAct (as amended) within the defination of “Unfair Trade Practice”. i bought a product after watching its advertisement. but the advertisement showed a different packing then the original product. when i opened the box the contents were not how they were projected in the advertisement. i bought the product under the notion that it would be exactly like the one shown in the ad. Can you please sujjest that we have filed a case against our builder in district consumer court at Ranchi for non completion of our flat in relation to the agreement signed. viz. Lifts, generator, thermal treatment of roofs, cracks in top floor flats, non possession of Playground for children, non provision of drains outlet and soakpits, seepage of water from walls etc.etc.etc. The builder has been submitting false statements regarding completion of the flat in each and every respect but the fact remains a fact. Can there be an end to it for finalization of a decision in our favour. Please advice as the living conditions in the premises have become precarious and it is getting more difficult day by day to stay in the apartment. The allegation made by you before the Ld. District Consumer Forum has to be proved. In order to prove your case you may submit a petition before Ld. forum to appoint a Commissioner who shall visit the spot and to submit report before the Ld. forum. In my opinion it is a very good case. it is a grey area of law but as per the law stands till this date you will not get warrante for further 18 months. In my opinion, if the goods replaced once by invoking the warranty, The warranty stands cancelled and no fresh warranty being issued. Can any one suggest me regarding the data need to be store while any one opt for online registration. I do a business where I accepts products to sell on my online stores with commission basis . Merchants who provides products to me need to accept my terms and condition. I need to store some info of persons as a proof while they accept the terms and condition. Please let me know what data I need to store. I have now discovered new/important matter of evidence against the respondent. Therefore I filed an application Under Order 9 Rule 4 CPC before the same Consumer Court to recall the order for review of the judgment that was passed in the year 2005 in favour of respondent Society. The opposite party challenges Order 9 Rule 4 CPC as not applicable. Therefore please tell me how to amend the plaint to substitute Order 9 Rule 4 CPC to XLVII CPC or Section151,152 and 153 CPC . At present am working at Kuwait since 9 years. I purchased one house and put on my mom’s name . And another house improvements I spend more than 3 lakhs. And also am sending from th year 2003 every month 5,000 till April-2011 for my old parents. I arranged all the things including A/C in the house. The problem is my sisters and brother pushed my parents and they registered the house on one of my sister name and another half house they wrote on my brother’s name. Remaining half house my parents are staying. All these things they did without informing me, Last March I went on vacation, they scolded me badly that I didn’t take gold bangles to my mother and they are making afraid, that they will file a case against me that they will bring back me from Kuwait and sue me in the court. I loved my parents and provided them a lot and at the end I got all these things. I stopped to send money now from two months. Now I heard from my friends that they are making a file and wants’ to file a case against me. Is it possible for them to call back from me from Kuwait? What I need to do to legally to stop them to do all these things. Your immediate response is highly appreciable. I have one small legal issue, where took adminision for PG through distance, as the executive has given me the comitment for stagewise. will send Legal notice for dis hounering the cheques. my request intiated on Dec 2009 & cheques got dishounered from Jan 2010. as i have my all mail followup. they say will file for NEGOTIABLE INSTRUMENTS ACT 138. the same shall i reply them with NEGOTIABLE INSTRUMENTS ACT 140.
i dont know english… mera prob. ye hai ke mere boss mujhe ek cheque jo account payee tha… aor jo naam se tha, use jana karne bheje.. par wo cheque bank se gayab ho gaya… aor kisi ne use self payment karva liya… jisne bhi wo cheque self payment liya usne account payee ko kat diya aor naam ko bhi kat kar self likh diya… aor mere boss ka duplicate signature kar diya… aor ek id proof laga diya tha… id proof me mere boss ke naam same tha… par photo payment lene wale ka tha… ab eske liye hame kya karna chahiye…?? please help & kindly reply…. If I have issued a non”payable at par at all branches” cheque, can it be returned unpaid, by another branch of my banker, without being presented in my home branch, with reason “Insufficient Funds”. I feel, since the cheque is not a multicity cheque, and is drawn on a specific branch, may be paid by any non home branch, if funds are available. But a non home branch should not be returning the cheque not drawn on it. I purchased a flat in a group housing scoiety in 2008 in ghaziabad and expecting possession in the next 6 months. I had purchased a road facing flat and paid extra for this privilege. Now on inspection I found that the builder has constructed a commercial complex infront of my house blocking my view of the road. As per the brouchers given to me at the time of purchase the commercial complex was supposed to be 1 story above ground but the builder has started construction on the second floor of this commercial complex. My flat being on the 2nd floor will have its view and sunlight blocked due to this construction. How can i get a stay order on further construction on this commercial complex. As per the agreement signed at the time of purchase all disputes are to be settled in court of ghaziabad. Does a consumer court have the power to enforce stay on construction? Please advise. When I Joined a Firm ,Hyderabad They issued me a appointment letter in which nothing was mentioned related to the notice period for leaving. with in seconds i received a mail from my manager, as a requested by you you releaved from duties effective from today. duties and please communicate with finance department about final settlements. in this month i went to my previous company , my manger gave a statement with you didnt servive the notice period, now we are cutting your salary for the that reason and you need to pay us extra amount. Now the owner is saying to file a case against me or demanding for extra amount . My one month’s salary is also pending on him. What can i do to get my remaing salary. Can he File a case against me for any reason just to make be disturb ? My dad sold a car to Mr X in 2005, and we have a Notary Agreement, however the car was not transferred on name of Mr.X and is still on my dad’s name. one person died in accident. The driver of the car eloped ( ran away) leaving car on spot. We are not able to trace Mr.X now..
and now POLICE is asking us to claim the car. Now We are in a deep trouble, as my dad is no more and if i claim car from police, it would mean that i had ownership and all blame comes on me..
What should i do …. People please help advice if at all you can.. !!!! Any advice on this matter will be really helpful to me .. !! madam, That your dad sold the car in 2005, now you are not owner. Now in this case your liability nil.dont bother. you don’t claim on the said car.otherwise you are in trouble. I have filed a complaint against Chalapathy Estates Pvt. 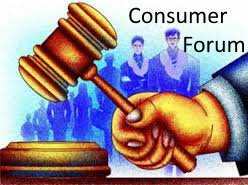 Ltd; Hyderabad in District Consumer Forum No.II, Hyderabad in 2009 which has been dismissed on frivolous grounds. I have filed an appeal in the State Commission as a Party-in-Person and argued the case effectively by highlighting all the commissions and omissions of the Real Estate Co. and the Hon. State Commission appeared to have been convinced of the serious irregularities and breach of faith on the part of the Real Estate Agency. However, the Advocate of the Opposite Party has maintained that the individual name of the Respondent has been mentioned and impleaded in the case and as the complaint has been filed against him in his personal capacity, it deserves to be ignored and dismissed forthwith. Y. Amareswara Rao, Executive Director, Rep. Chalapathy Estates Pvt. Ltd with the Office Address of the Real Estate Agency, the President of the Commission was inclined to support the contention held by the Opp. Party. In this regard, it may be of interest and significant to know that Y. Amareswara Rao in his capacity as Executive Director and on behalf of Chalapathy Estates Pvt. Ltd has executed and signed the agreements with the Buyers of house building plots during the relevant period and he continues to hold the same position in the Company. IN THIS CONTEXT, IT IS LEARNT THAT THE SUPREME COURT OF INDIA HAS GIVEN A JUDGMENT IN AN IDENTICAL CASE WHEREIN IT WAS STRESSED THAT THE CONSUMER COURTS SHOULD AVOID ATTACHING IMPORTANCE TO SUCH MINOR/TRIVIAL PROCEDURAL FLAWS / SHORT-COMINGS / LACUNAE AND THEY SHOULD APPLY THEIR MINDS MORE ON THE SERIOUSNESS OF THE COMPLAINT AND THE GRAVITY OF THE PROBLEM. IN HYDERABAD, I HAVE TRIED MY LEVEL BEST TO OBTAIN A COPY OF THE JUDGEMENT REFERRED TO HEREIN TO FORTIFY/BUTTRESS AND PUT FORWARD MY POINT EFFECTIVELY. HOWEVER, I COULD NOT LAY MY HANDS ON THE CRUCIAL JUDGMENT DELIVERED BY THE APEX COURT. It is, therefore, requested that a copy of the land mark verdict given by the apex court is furnished to me to enable me to file a Revision Petition at the appropriate Forum for which act of kindness, I shall be grateful to you ever and forever. This query regarding Secion 17. of the consumer protection Act. read with Section 2 of the same Act. I would like to ask that if a truck is insured by the lucknow branch of the Insurance Company and the truck meets with an accident in Himachal Pradesh but the truck was hypothecated in Dehradun and also the the amount for the insurance was paid at Dehradun, doesn’t a part of the cause of action arise in Dehradun. I would also like to know that when Sec. 2(aa) has clearly defined the meaning of “Branch Office” then Sec 17. read with Sec. 2 would imply that the State Commission of Uttarakhand at Dehradun has the Territorial Jurisdiction to give its views in this case. I have purchase a house. the old owner has not clear his electricity bills.can a electricity supply company receive the dues with me.what is the relief and rules and view about court. i have not taken connection in my name. Yes. It soes not matter to them who owns the building and who has used it. The present owner has to pay. You can recover if possible from the last owner. Otherwise ,normally once its sold its with the liabilities. I had been to a five star hotel to have a snack. After eating half of what they had served, I had an unusual feeling that something is terribly wrong with it. I dissected the snack with fork and I saw that it was very badly spoiled (fungus in it). I called up the barer, who said he didn’t know how that happened (as if I should know it). The manager of that hotel accepted that it’s their fault. I spent the entire day of Christmas on bed, taking rest. The stomach felt horrible, and after meeting a doctor and taking some medicine, I feel somewhat better today. I do not know how many thousands I’ve spent on their hotel so far (so called 5 star) and I really want them to compensate me for what they’ve done to me. I’ll appreciate it if you could suggest me on options that I have. I’ll provide you any further information that you may need. 2. I belong to Alur kurnool (Dist) of Andhrapradesh and presently residing in Jodhpur, Rajasthan. With an ambition to support my family and to get self employed I contacted “M/s VENUS TRADING COMPANY, WZ-508/1, Basai Dara Pur, Behind Ramesh nagar Metro Station Delhi-110015 ” based on their advertisement placed in the daily news papers “Rajasthan Patrika” and “Dainik Bhaskar”. After going through their website http://www.venustradingco.com and written material supplied by them I paid them Rupees 2000/-(Two Thousand) in advance vide bill no 507 dated 18 Apr 2009 and later I paid the Rupees 48,000/-(Forty Eight Thousand) for the six head thread winding machine. As per the agreement they have to supply the raw material of 240 kg/week and pay the labour charges of Rs 35/Kg for the finished goods what we supply to them. With the machine they supplied only 40 kg of the raw material which is costing Rs 900/- and after finishing 18 Kg of the raw material we sent back to them. Till now the company has not paid the labour charges and not supplying the raw material and not returned the agreement which I sent back for correction in respect of transportation charges. 3. The original cost of the machine supplied by them is only Rs 27,000/-(Twenty Seven Thousand ) as per the original bill received by me where the company received Rs 50,000/- from me. Besides over charging they supplied me a faulty machine. The company neither rectifying the faulty machine and nor replacing and not supplying any raw material. My repeated letters for the return of the machine to the company became unclaimed. 4. Hence I request your support and help in getting compensation from the above said company and bringing those culprits in front of the justice for panelizing them suitably for their antisocial activity. Your complaint is very sensitive. You may brought an action under Consumer Protection Act against the Company. Besides, you may prefer Criminal Case also under section 406 I.P.C. On of my relative has defaulted on an EMI or Credit Card payment and bank employees are troubling his family members to pay up the outstanding amount due and threating to pay the money. The recovery agents has no right to threaten anybody else. Please contact Local P.S. and made an F.I.R. or file a criminal case or a suit against the Bank but you have to prove your case. You have to file the case in same jurisdiction, where the Institute is situated. But if your Institute have any Branch office in your City, and you come to contact in that office than you can file the case in your local town. Please tell me whether I am able to file the case in own city or not. I stay in city ‘X’. I have taken addmission in a college which is in city ‘Y’. Whether I am able to file the case against that college in my own city in Consumer court or not. Pls tell about any other cases related to same problem. Any other suggestion and references will be appreciated. Consumer Protection Act suggests that a case may be launched at the place where any of the Op. Party resides or carrying on business, or where the cause of action arose or part cause of action arose or the Op. Party or Any of the Op. Party has a branch office. Please see Section 11 of Consumer Protection Act. Does the Arbitration and Conciliation Act 1996 is inferior or subservant to the Consumer Protectiion Act 1986? Not at all “Consumer Protection Act” is separate legal remedy. the bank paid the bearer cheque on presentation.the account holder filed a complaint for defeciency in service.whether it is maintaneble or not,if not pl. suggest rulings in favour of bank. You have not clearly mentioned the dispute, I mean what is defeciency in service by Bank. It is duty of Bank to clear the Bearer Cheque. 106 queries in 0.260 seconds.